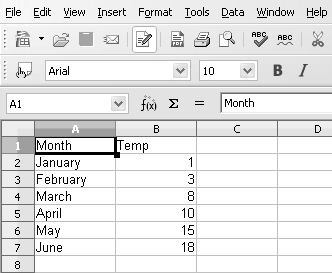 With jOpenDocument, it's very easy to save any tabular data to an OpenDocument spreadsheet. // Create the data to save. // Save the data to an ODS file and open it. As you can see in the code above, a spreadsheet can be generated directly from data by using the static method createEmpty of the class SpreadSheet with a javax.swing.TableModel as an argument. The only thing to be specified is the file where to save the data.